Inspired by an American fern, researchers have developed a groundbreaking prototype that could be the answer to the storage challenge still holding solar back as a total energy solution. The new type of electrode created by RMIT University researchers could boost the capacity of existing integrable storage technologies by 3000 per cent. But the graphene-based prototype also opens a new path to the development of flexible thin film all-in-one solar capture and storage, bringing us one step closer to self-powering smart phones, laptops, cars and buildings. The new electrode is designed to work with supercapacitors, which can charge and discharge power much faster than conventional batteries. Supercapacitors have been combined with solar, but their wider use as a storage solution is restricted because of their limited capacity. RMIT's Professor Min Gu said the new design drew on nature's own genius solution to the challenge of filling a space in the most efficient way possible - through intricate self-repeating patterns known as "fractals". "The leaves of the western swordfern are densely crammed with veins, making them extremely efficient for storing energy and transporting water around the plant," said Gu, Leader of the Laboratory of Artificial Intelligence Nanophotonics and Associate Deputy Vice-Chancellor for Research Innovation and Entrepreneurship at RMIT. "Our electrode is based on these fractal shapes - which are self-replicating, like the mini structures within snowflakes - and we've used this naturally-efficient design to improve solar energy storage at a nano level. The immediate application is combining this electrode with supercapacitors, as our experiments have shown our prototype can radically increase their storage capacity - 30 times more than current capacity limits. Capacity-boosted supercapacitors would offer both long-term reliability and quick-burst energy release - for when someone wants to use solar energy on a cloudy day for example - making them ideal alternatives for solar power storage." Combined with supercapacitors, the fractal-enabled laser-reduced graphene electrodes can hold the stored charge for longer, with minimal leakage. The fractal design reflected the self-repeating shape of the veins of the western swordfern, Polystichum munitum, native to western North America. Lead author, PhD researcher Litty Thekkekara, said because the prototype was based on flexible thin film technology, its potential applications were countless. "The most exciting possibility is using this electrode with a solar cell, to provide a total on-chip energy harvesting and storage solution," Thekkekara said. "We can do that now with existing solar cells but these are bulky and rigid. The real future lies in integrating the prototype with flexible thin film solar - technology that is still in its infancy. Flexible thin film solar could be used almost anywhere you can imagine, from building windows to car panels, smart phones to smart watches. We would no longer need batteries to charge our phones or charging stations for our hybrid cars. With this flexible electrode prototype we've solved the storage part of the challenge, as well as shown how they can work with solar cells without affecting performance. Now the focus needs to be on flexible solar energy, so we can work towards achieving our vision of fully solar-reliant, self-powering electronics." 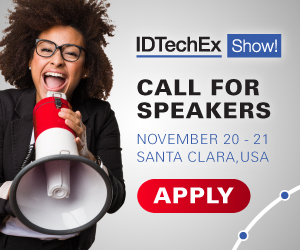 Learn more at the next leading event on the topic: Graphene USA 2019 on 20 - 21 Nov 2019 at Santa Clara Convention Center, CA, USA hosted by IDTechEx.